Kokash, N, C. (born Köhler, , C.) Krause, ,, & de Vink, E.P. (2012). 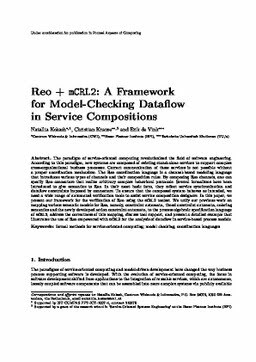 Reo + mCRL2: A Framework for Model-Checking Dataflow in Service Compositions. Formal Aspects of Computing, 24, 187–216.